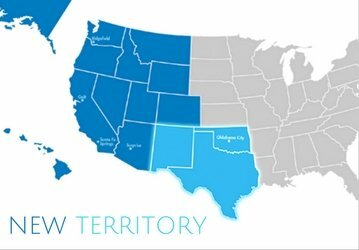 We’re excited to announce that Perkins Pacific has been awarded an expanded distributor territory for Perkins Engines and will now be serving 15 western states including Texas, Oklahoma and New Mexico. Perkins Pacific was selected by Perkins for expansion due to the deep product expertise of our team, our outstanding customer service, and our best-in-class engineering capabilities. We were also recognized by the factory as the largest Perkins remanufacturer in North America. The expansion marks continued growth and success for the company, which has seen sustained growth since its founding and initial two-state territory. Customers in the new territory will now have access to Perkins Pacific’s comprehensive power solutions and expert sales and service network. In addition to its five sales and service facilities, Perkins Pacific offers customers extended service though its large, 23-dealer network. A new full-service location has also been opened in Oklahoma City to help meet customer needs in the Eastern half of the Perkins Pacific territory. An experienced team has been hired to help meet local demand in the new state and Troy Luedecke has been selected as regional manager. The facility opened June 1 and is located at 4253 Will Rogers Parkway, Oklahoma City, OK, 73108.